Looks like we won’t be getting any crazy self-driven car chases after all. Despite what some people think, self-driving cars are actually rather easy to get right. It's only when they have to interact with us crazy humans that things get very, very complicated. Take an autonomous vehicle, let it drive around an enclosed track and it will most likely perform faultlessly, add in a few more computer-controlled vehicles and they are likely to get along just fine too. Throw in just one human-operated car and that’s when things get interesting. Trying to decipher complex traffic situations and a human’s intentions is seriously tricky and designing algorithms that can do that has kept companies like Waymo very busy indeed. Speaking to Bloomberg, a Waymo spokeswoman, Alexis Georgeson, says the company’s fleet can distinguish between civilians and police standing in the roadway and can follow hand signals. "They will yield and respond based on recognition that it is a police officer,” she says. "Our cars do really well navigating construction zones and responding to uniformed officers.” They have also developed software that will instruct a vehicle to come to a stop if it sees a set of flashing police lights behind it for a certain length of time. As more and more self-driving vehicles hit the roads real-world issues like this will need to be addressed. 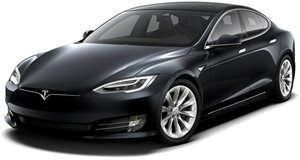 A Bloomberg report of two officers having to bring a Tesla Model S to a halt as it cruised along the freeway in Autopilot while its driver was slumped against the wheel, highlights the need for more advanced systems. Elon Musk has been looking into the incident which occurred last November and a few days ago stated that by the end of next year it would be safe for people to fall asleep at the wheel and safely arrive at their destination. This brings up another issue that autonomous vehicles will have to navigate around, and that is how insurance companies will deal with them. The day when you can catch up on sleep behind the wheel may be further off than you think, and who wants to be rudely woken up by a police officer banging on their window anyway?